Attack MT5 (DEMO VERSION) Trades based on Triangular Arbitrage strategy. Triangular arbitrage (also referred to as cross currency arbitrage or three-point arbitrage) is the act of exploiting an arbitrage opportunity resulting from a pricing discrepancy among three different currencies in the foreign exchange market. A triangular arbitrage strategy involves three trades, exchanging the initial currency for a second, the second currency for a third, and the third currency for the initial. During the second trade, the arbitrageur locks in a zero-risk profit from the discrepancy that exists when the market cross exchange rate is not aligned with the implicit cross exchange rate. The EA is Smart and adjusted professional inputs for best result. Only key inputs can be change by user, thus using EA is very simple and easy. The EA can work on over 60 pairs in the same time. The EA can calculate maximum allowable volume of positions according to account deposit and leverage. There is no risk with this EA. Even market move against your position. The EA can work on any symbol and any time frame. Both Hedge and Netting accounts supported. 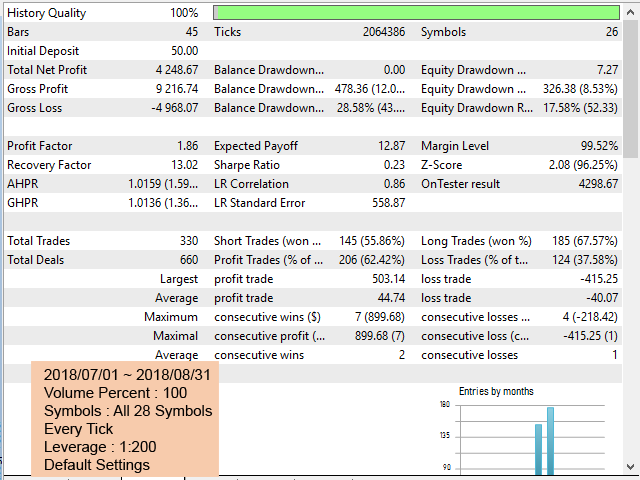 High leverage accounts can make higher profits. The EA is sensitive to broker order execution time. Thus before buying full version, test EA according to test procedure below. Using VPS can help you to make better profits. 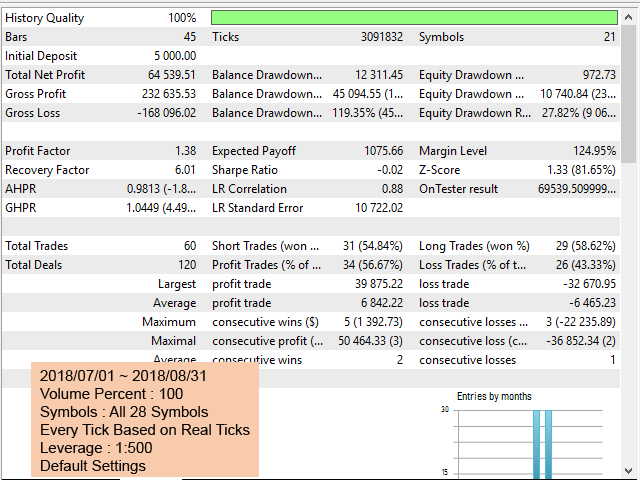 Symbols for trade : You can add all your desired symbols for trading. Only 6-Character symbols without any prefix or suffix are supported with comma separating. make sure that all symbols you entered is added to market watch on metatrader terminal. Prefix : If you symbols has prefix, enter this input. Suffix : If your symbols has suffix, enter this input. Volume Percent (1~100) : Percentage of maximum volume. Maximum volume is calculated smartly based on your account free margin and leverage. Delta to Start Trade : Delta Points to start trade. Default is 100 (enter 10 for 4digit accounts). You can adjust this parameter with optimization. Delta to Close Positions : Delta Points to close Position. Default is -30 (also can use positive inputs.). You can adjust this parameter with optimization. Download Demo Version of EA Attack Demo MT5. 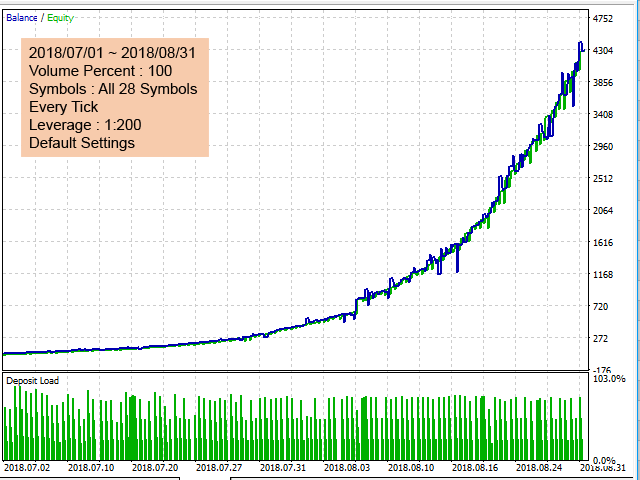 Test EA with Strategy Tester (Backtest). Start testing with low deposits (50 or 100 or ...). High leverage can make high profits. If Test results of stage 2 is OK, attach the EA (demo version) to a chart on a demo account. The EA work fully with demo accounts. Wait some days. 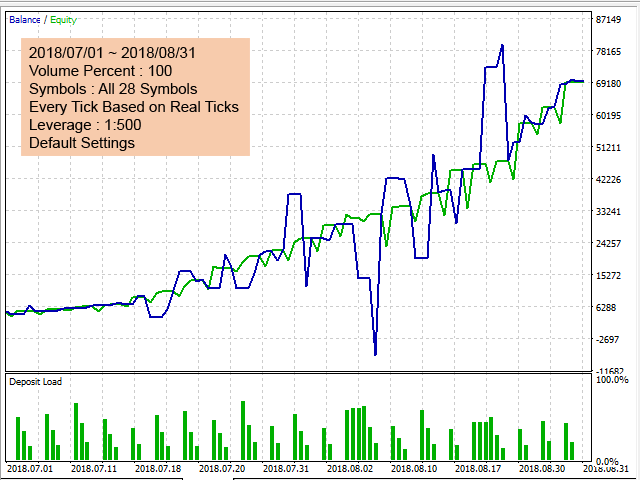 After some days if the results of trading on demo account is desirable, download and rent Lite Version Attack Lite MT5 and trade on real account with low deposit for some days. Lite version can run on real accounts with volume limitation. If trading results of stage 4 is successful, now you can buy or rent full version Attack MT5 and continue trading. If above trading and testing procedure is unsuccessful on any stage, change your broker and try on another broker. 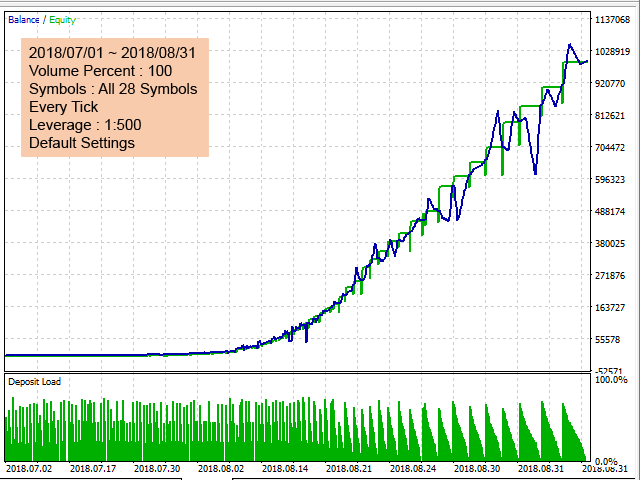 Attack Demo MT5, Attack Free MT4 : Run only on demo accounts. Attack Lite MT5, Attack Lite MT4 : Run on real accounts with minimum position volumes. Shortcut Group is ready to help you about using the EA, Please don't hesitate to contact me. Visit our other useful utilities and experts here.